This week was the Big Star Schools Orientation Week, all the Star Schools campuses came to life with students thronging the venues and rearing to go. 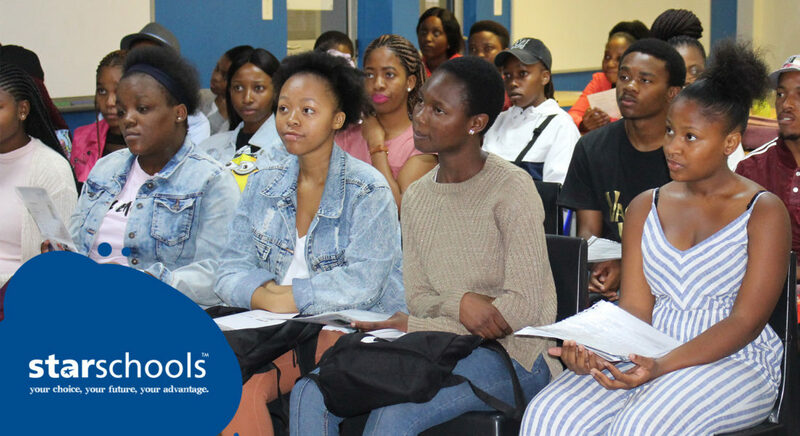 The Matric Rewrite Orientation week is designed to help the learner get started or “orientated” and learn more about the Star School rules and code of conduct. The students were given handbooks to provide them with a snapshot of all the information they would need. Question and answer sessions were done , where learners got the opportunity to ask their facilitators all they needed to know. After all the formalities were out of the way, students are allowed to walk around the campus to familiarise themselves with lecture rooms, ablution facilities and study areas. This is also a great opportunity for the leaners to get to know each other and create study groups.